A huge increase in the number of man-made earthquakes in Oklahoma, USA, is strongly linked to the depth at which wastewater from the oil and gas industry is injected into the ground, according to a new study involving the University of Southampton. Oklahoma has been a seismic hotspot for the past decade, with the number of damaging earthquakes – including the magnitude 5.8 Pawnee earthquake in 2016, the strongest in state history – regularly impacting on the lives of residents, leading to litigation against well operators. 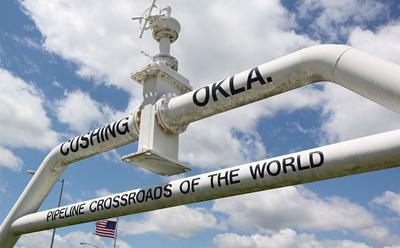 The ‘induced’ earthquakes also pose an increased risk to critical infrastructure such as a major commercial oil storage facility at Cushing, making them a national security threat. The connection between ‘seismicity’ – the frequency of earthquakes – and deep fluid injection into underground rock formations is well established. However scientists, policymakers, and the oil and gas industry have been bewildered by the unprecedented surge in the number of earthquakes in Oklahoma, which has soared from two in 2008 to about 900 in 2015. Oklahoma’s well operators have injected, on average, 2.3 billion barrels of fluids per year into the ground since 2011. Saltwater is injected deep underground as part of the oil and gas extraction process. The resulting wastewater is then routinely disposed of below ground, typically at depths 1 km to 2 km – well below the level of fresh ground water supplies, in order to avoid contamination. Now a major study led by the University of Bristol and involving the University of Southampton, Delft University of Technology and Resources for the Future, published in the journal Science, shows conclusively that Oklahoma’s seismicity is strongly linked to fluid injection depth. 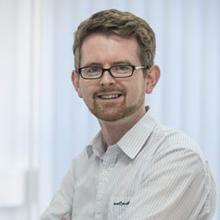 Using a powerful, specially developed computer model incorporating injection well records and earthquake data from the US Geological Survey, the team examined the links between injection volume, depth and location, as well as geological features, over a six-year period. The team found that the joint effects of depth and volume are critical, and that injection volume becomes more influential – and more likely to cause earthquakes – at depths where layered sedimentary rocks meet crystalline basement rocks. This is because deeper wells allow easier access for fluids into fractured basement rocks that are much more prone to earthquakes. The volume of fluids injected under the ground has increased from 1.85 billion barrels in 2009 (the first year for which the team has data) to 2.75 billion barrels in 2014. Study co-author Dr Tom Gernon, Associate Professor in Earth Science at the University of Southampton, said: “The underlying causes of Oklahoma’s induced earthquakes are an open and complex issue, not least because there are over 10,000 injection wells, with many different operators and operating characteristics, all in an area of complex geology. The study also shows how raising injection well depths to above the basement rocks in key areas could significantly reduce the annual energy released by earthquakes – thereby reducing the relative likelihoods of larger, damaging earthquakes. Current regulatory interventions include requiring operators to either reduce injection or raise wells above the basement, often by an unspecified amount. Professor Willy Aspinall, of the University of Bristol, who initiated the study, added: “This new diagnostic finding has potential implications for scientists, regulators and civil authorities concerned about induced seismicity, both in the US and internationally. The research addresses a growing need for a broader understanding of how operational, spatial and geologic parameters combine to influence induced seismic risk.